No one is turning in magazines. TRENTON, New Jersey (PNN) - December 19, 2018 - Unless you’ve been under a rock lately, then you’ve likely seen the unprecedented push by all levels of government to separate law abiding Amerikans from their guns. No, this is not some conspiracy theory. The president himself ushered in a new level of gun control doing what his liberal predecessor even refused to do by banning bump stocks. However, as states across the country seek to limit the ability of innocent people to defend themselves, people are disobeying. BRUSSELS, Belgium (PNN) - December 16, 2018 - Thousands of people marched in Brussels on Sunday against a United Nations pact aimed at fostering cooperation on migration, eclipsing a smaller demonstration in support of the deal, the signing of which brought down Belgium’s government last week. 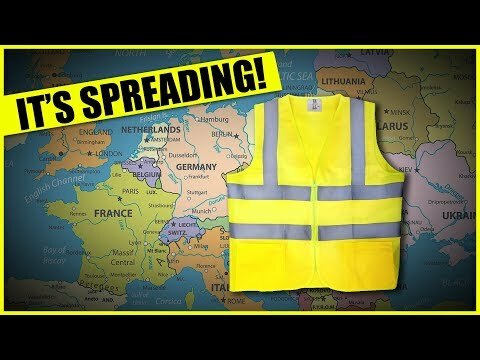 LONDON, England (PNN) - December 14, 2018 - A group of yellow vest demonstrators blocked traffic on Westminster Bridge in London today to protest against Prime Minister Theresa May’s Brexit betrayal. Around 60 people chanted, “What do we want? Brexit! When do we want it? NOW!” during the demonstration while Rule Britannia played on a loudspeaker. BUENOS AIRES, Argentina (PNN) - December 10, 2018 - Last year, when Argentina offered a 100-year bond, I argues it was plain insanity. Argentina sold $2.75 billion of the debt, but the issue was nearly four times oversubscribed. How could investors place so much faith in a country that spent most of its post-independence history defaulting on its debts? Plagued by a series of populist governments since the mid-20th Century, Argentina defaulted twice in the last twenty years, and eight times since its independence in 1816. Well guess what… it’s again crisis time in Argentina. 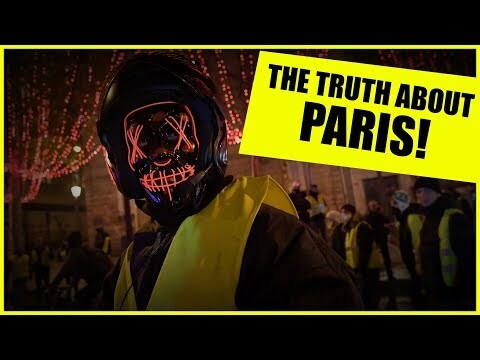 PARIS, France (PNN) - December 9, 2018 - Riots have been raging across Paris for the last few weeks as anger about the high cost of living and increased fuel taxes threatens to topple Emmanuel Macron’s government. Shocking scenes today saw riot terrorist pig thug cops confronting the so-called Gilet Jaunes - after the high-vis yellow vests they have worn. But one particular video caused a stir after it was posted on social media. BRUSSELS, Belgium (PNN) - December 8, 2018 - Belgian terrorist pig thug cops fired tear gas and water cannons at yellow-vested protesters calling for the resignation of Prime Minister Charles Michel after they tried to breach a riot barricade, as the movement that started in France made its mark Saturday in Belgium and The Netherlands.